This still image taken from video circulated by Pakistan’s military shows a man who identified himself as the pilot of an Indian military aircraft that was shot down Wednesday. 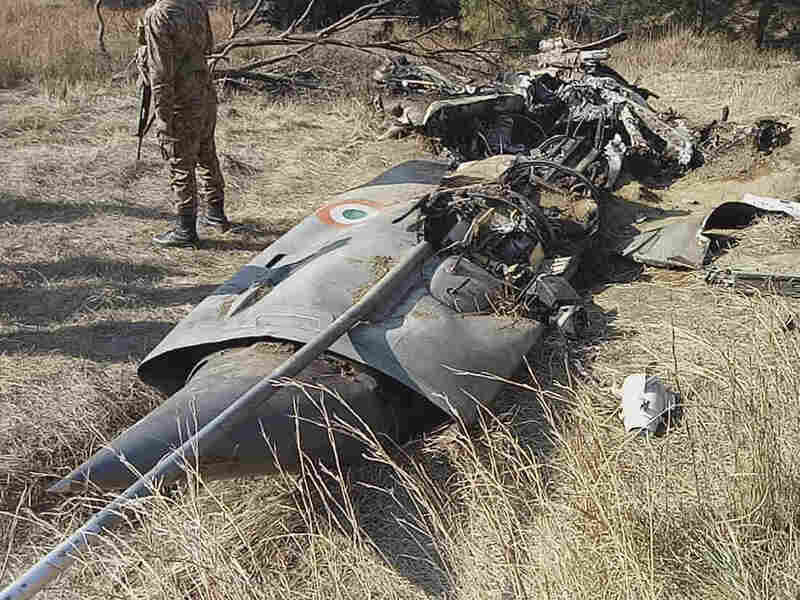 Pakistan’s prime minister says his country will return a captured Indian pilot on Friday as a “peace gesture,” after his plane was shot down amid airstrikes by both sides this week that have brought the nuclear neighbors close to all-out war. Gunfire and shelling continues along the Line of Control, the de facto border between Indian and Pakistani zones of Kashmir, a Himalayan territory over which the two countries have fought three wars already. Fearing more attacks, hundreds of civilians on Thursday fled villages on the Pakistani side of the border. The clashes came a day after India and Pakistan both accused the other of invading rival airspace, and both claimed to shoot down the other’s fighter jets. India confirmed one of its pilots was “missing in action,” and video emerged of the man, bloodied and blindfolded, in Pakistani custody. Meanwhile, Saudi diplomats appear to be acting as intermediaries between the two sides, after Pakistan complained that the U.S. had not played a larger role. The Saudi foreign minister is due in Pakistan on Friday, carrying “an important message” from the crown prince. Saudi Arabia’s ambassador to India met Prime Minister Narendra Modi early Thursday. In New Delhi, officials from India’s three military branches summoned journalists to an outdoor news conference at which they displayed shards of metal they said were fragments of U.S.-made air-to-air missiles that Pakistani jets fired inside India. Indian military officials accused Pakistan of “factually incorrect statements” and denied that Pakistani airstrikes a day earlier had caused any damage. 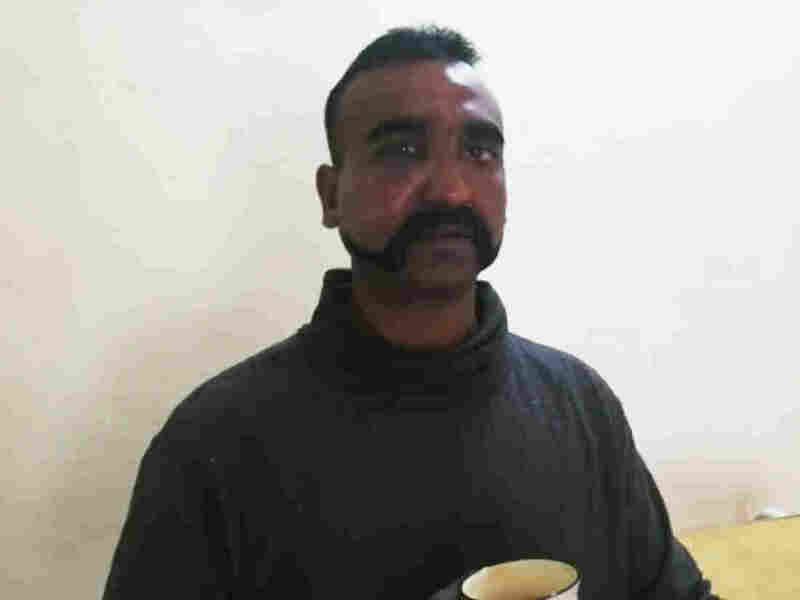 Before a joint session of Pakistan’s parliament, Khan announced that the captured Indian pilot, whom Pakistan identified as “Abhi Nandan” and Indian media identified as “Abhinandan Varthaman,” would be released Friday. He did not give details. In the past, prisoners have been exchanged over the Wagah border post, which separates the Indian and Pakistani states of Punjab. Khan also called for talks with India, and said he had tried to reach Modi a day earlier. A Pakistani soldier stands guard near the wreckage of an Indian plane shot down by the Pakistan military on Wednesday, in Hurran, near the Line of Control in Pakistani Kashmir, on Thursday. In India, an official from Modi’s ruling Bharatiya Janata party predicted the exchange of airstrikes with Pakistan would help his party win more seats in parliamentary elections expected this spring. Modi faced criticism for sticking to his schedule of campaign rallies this week, and 21 opposition parties issued a joint statement accusing Modi’s BJP of using the violence for political gain. “The meeting of 21 parties expressed their deep anguish over the blatant politicization of the sacrifices of made by our Armed Forces by the leaders of the ruling party,” said Rahul Gandhi, leader of India’s biggest opposition party, Congress. Speaking to a conference of BJP workers and volunteers, Modi said Thursday that Indians must stand together, and not let what he called the “enemy” slow the nation’s progress. “India will fight as one. India will win as one,” he said. The latest escalation began two weeks earlier, when a suicide car bomb on Feb. 14 killed 40 Indian troops on the outskirts of Srinagar, in Indian-controlled Kashmir. While the bomber was a local Kashmiri man, a Pakistan-based militant group, Jaish-e-Mohammed, claimed responsibility. On Tuesday, Indian jets entered Pakistani airspace and bombed what Indian officials called a training camp run by the militant group. New Delhi said “a very large number of terrorists” were killed. That suicide attack and India’s retaliatory strike Tuesday prompted a show of force a day later by Pakistan, which escalated into skirmishes among fighter jets belonging to both countries.